Today (11/12/2013) marks the 121st Anniversary of the NFL, that’s right 1862, way before the Packers, and Bears. 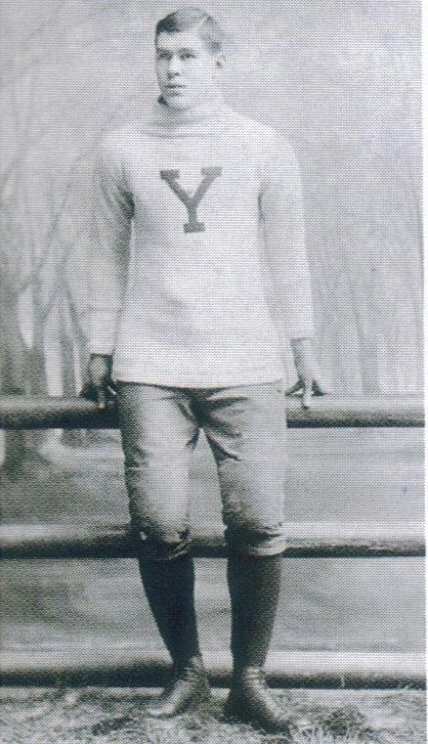 The first professional game in which a player was paid to play took place just outside of Pittsburgh Pennsylvania, when William “Pudge” Heffelfinger an all-American guard from Yale, was hired to play for Allegheny for $500 to play in a game ($13 thousand in 2013 dollars). 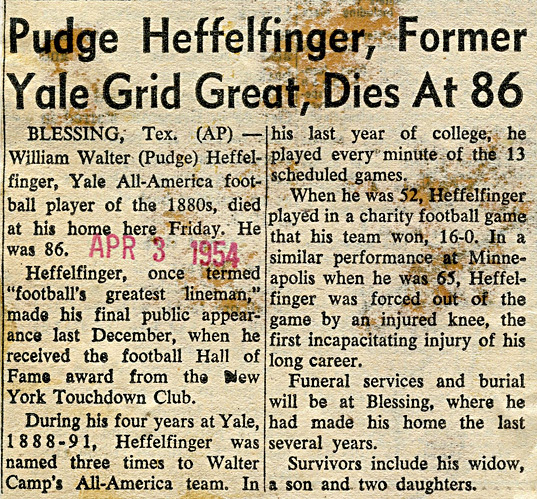 Heffelfinger, was a three-time All-American, at Yale University (1889, 1890, and 1891). Pudge played amateur football for the Chicago Athletic Association. He was compensated with what was called “double expenses,” which was the way around “professional status,” and still being paid. The Pittsburgh Athletic Club came calling, first offering Heffelfinger $250 ($7,500 in 2013 dollars) to play for them, he turned it down because he felt it wasn’t enough to jeopardize his amateur status. So on November 12, 1892, Heffelfinger made history not when he was paid $25 for his expenses, but for the bonus of $500 by the Allegheny Athletic Association to play in a game against the rival Pittsburgh Athletic Club. Allgheny won 4-0, with Pudge scoring the ONLY touchdown on a fumble recovery (TDs were worth 4pts back then instead of 6). 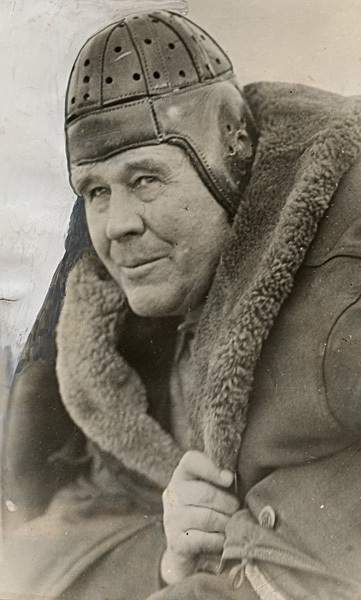 The following week, Allegheny pressed their luck, and paid a former Princeton tight end Ben “Sport” Donnelly $250 to join Pudge in a game against Washington & Jefferson College. Unfortunately the gamble didn’t work and Allegheny lost, 8–0. 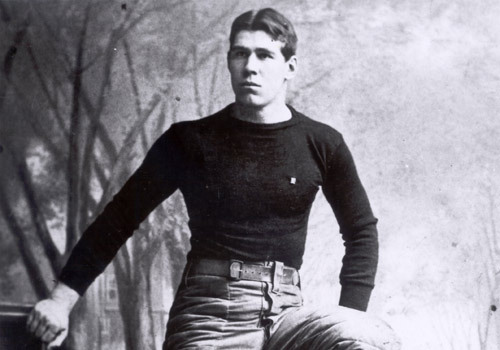 Heffelfinger took on coaching, his first head football coaching job with the University of California, Berkeley in 1893 his record was 5 wins, 1 loss, and a tie. In 1894 he went on to be the head coach for Lehigh University in Bethlehem, Pennsylvania where he went 5-9. He concluded his coaching career at the University of Minnesota in 1895, outscoring his opponents 136-58 and compiling a 7-3 record. The three time All-American truly loved the game, playing in an alumni game between two Minnesota High Schools at the age of 65. 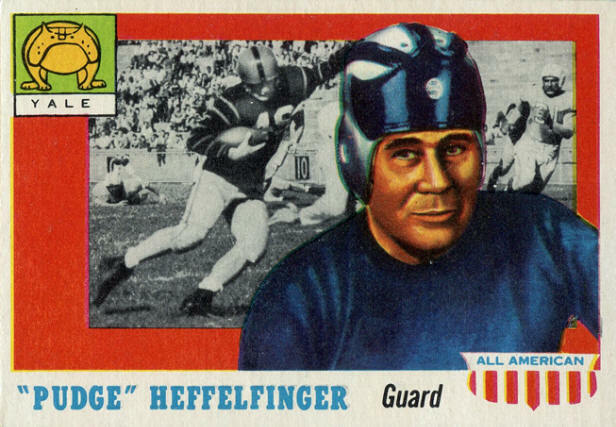 Heffelfinger, the first professional football player died on April 2, 1954 in Blessing TX he was 86. This entry was posted in college football, Football, NFL, sports and tagged Allegheny Athletic Association, NFL, Pudge, william Heffelfinger. Bookmark the permalink. Most NCAA schools still use the double expense system today! What year did they change TD’s to 6 points?